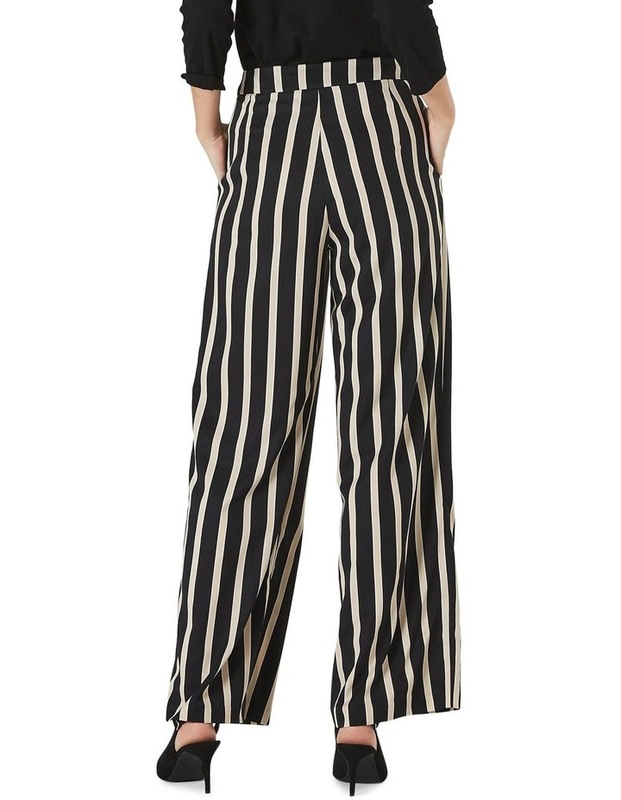 For a stylish, loose fit pant look nofurther than the Neutral Stripe Pant. 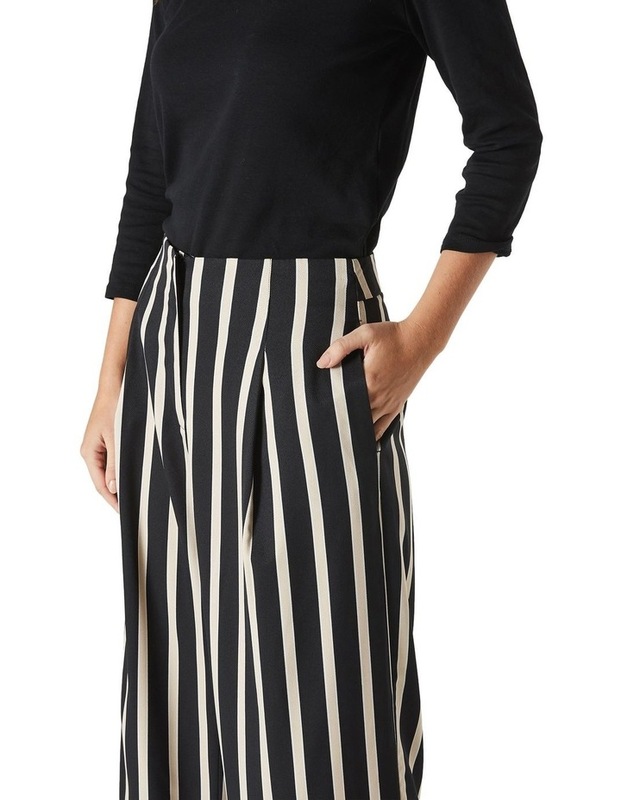 The comfortable and versatile pantfeatures a wide leg and high waist. 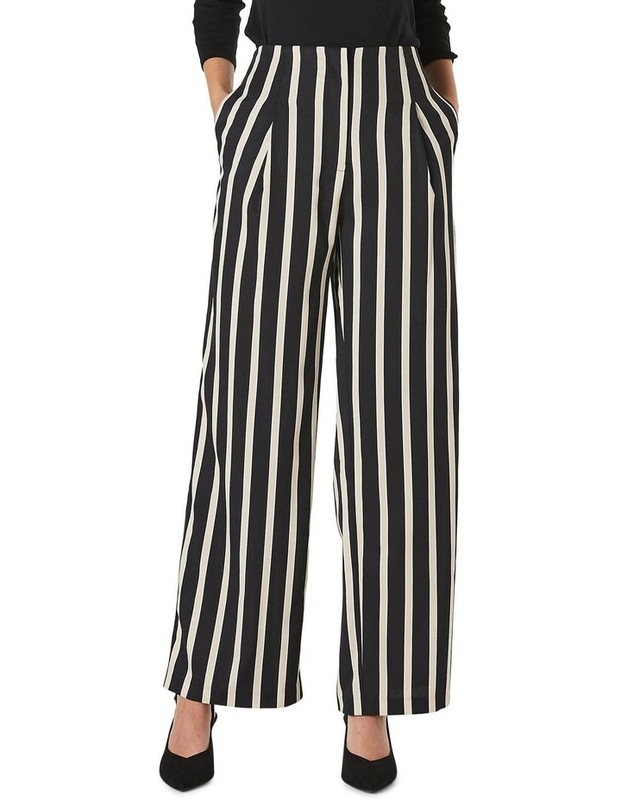 Pair with a strappy heeled sandal andstatement earrings for winning after hours style.